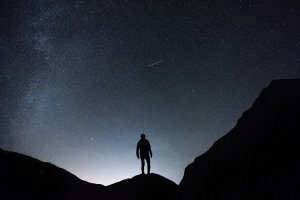 Stargazing is a hobby that everyone can enjoy because of how simple it is to get started and because of the things that you learn once you start stargazing. Once you start stargazing, you will always want to do it again because you will learn more about the stars every time and will get attached to watching and learning about them. 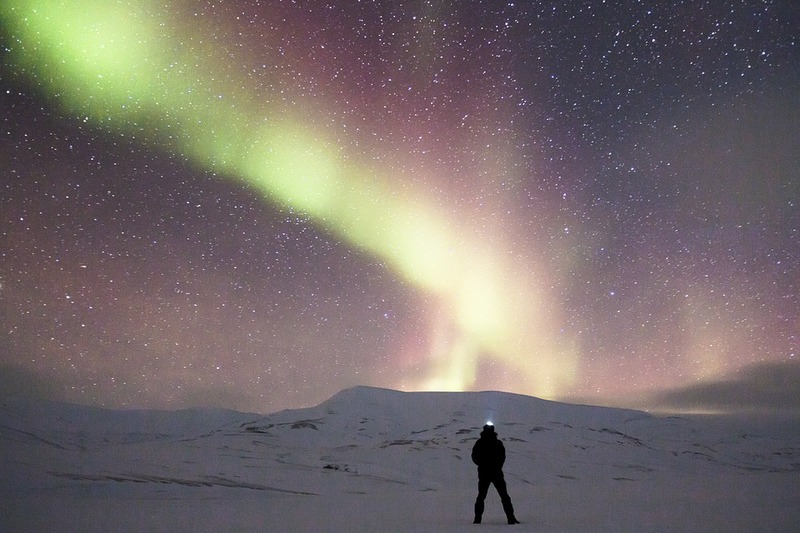 Sure, stargazing with your naked eye may still be beautiful, but to get the full experience, you can either reserve an observatory that may be far away, or you can get yourself a set of best binoculars for stargazing. 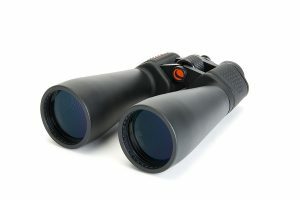 With these binoculars, you can setup on your balcony or veranda and view the stars as if you were a lot closer to them. You can see spots and marks that you may not have been able to see with your naked eye which is why binoculars are always recommended on stargazing trips. Every time you go stargazing, you’ll see something new, even if the star is the same exact one you have seen the other day, which is why it’s a hobby that you will be able to thoroughly enjoy and participate in for a long time. Before we discuss some of the top-rated and the hottest selling astronomy binoculars available online, we shall discuss and gain an understanding of the various factors to be considered before buying a pair of astronomy binoculars for yourself. After going through these points, we are confident to guide you to the best astronomy binoculars! Now we will be discussing them in detail, one by one. The Field of view is one of the most important factors to be considered while purchasing a pair of astronomical binoculars for Stargazing. It defines the perspective with which you will be able to see the wonders of space through your astronomical binoculars. There are different ways in which the manufacturers can define the field of view for their product. It can be expressed in either the unit of ‘feet per 1000 yards’ or in ‘degrees’. Many find it easier to understand the former unit of expression than the latter. There are a lot of errors which can arise due to erroneous optical mechanisms like dispersion, chromatic aberration, etc. To overcome this, the astronomical binoculars need to have the required lens coating as per the purpose of use. There are usually three different types of coatings, namely the fully coated, multi-coated and fully multi-coated, with the fully multi-coated being the best quality coating. Here it should be noted that the price of astronomy binoculars increases with the advancement in the lens coatings. With the appropriate coating on lenses, the quality of imagery delivered is bound to improve by a large factor. However, this is a valid and reasonable factor to understand that the image quality will get disturbed to some extent in situations when the astronomical binoculars are zoomed up to its maximum possible magnification level. Along with this, there are a lot of other factors due to which the performance of astronomy binoculars get affected. That factor is atmosphere itself, which is one of the biggest natural causes to affect the overall functioning of astronomy binoculars. Things like dust, wind, fog, moisture, humidity etc. can also impart negative effects on the overall functioning and performance of astronomy binoculars. Eye relief signifies the maximum possible distance to which a particular user can observe things easily while staying within the boundaries of the field of view of the astronomical binoculars. This is a factor which is of critical importance for people who are having vision impediments. Ensure that the best binoculars for stargazing you are planning to buy have a good Eye relief. Talking about the eyepiece adjustments for astronomy binoculars, special attention has to be given to whether the binoculars allow you to adjust the eyepiece or not. This is important in the sense that the facial structure of people varies from one person to another. Hence, they may require adjusting the eyepiece as per their convenience. In the market as well as on the internet, there are some products which give you the option of selecting between single powered and zoom-in eyepieces. Despite such customization options, people prefer to use zoom-in eyepieces in most cases with their astronomy binoculars. This is because they go hand in hand with the main purpose of buying a pair of astronomical binoculars, which possesses higher magnification levels than any ordinary binoculars. Hence, with such variations in the types of eyepieces, the user can easily adjust the eyepieces as per their requirement. For people who love to explore the depths of our universe, astronomy binoculars are a must. But one of the conditions to use any astronomical binoculars is that it should be in direct focus with the naked sky. As mentioned above, the atmosphere is one of the major reasons behind the poor performance of any optical based mechanical device. To tackle this problem, manufacturers tend to coat the external optics of these astronomical binoculars. This coating protects the lenses from any sort of scratches and damages. Also, O-seal rubber armored rings are also used to protect the internal optical mechanism from undesirable effects caused by fog, moisture, water etc. There is either argon gas or fluoride gas filled in between the different layers of the lenses, which helps the users to achieve appropriate brightness levels with minimized dispersion and increased light transmission. All these things help in keeping the astronomical binoculars safe and protected from any sort of adverse weather or climatic conditions. This in turn also attributes to the best performance of the astronomy binoculars. When you are choosing your astronomy binoculars, it is important to look at the features that come with your binoculars. This is because some products have features that makes it a lot more comfortable and easier for you to stargaze with, while some products are difficult to use and aren’t meant for amateur or normal use, but rather for professional use. Also, if you don’t pay attention to the features, you may be purchasing a pair of binoculars that may be intended for a different purpose which may make you pay a lot more than what you need to. The easiest way to choose the right binoculars for you is to decide what kind of features you want, such as a tripod stand with a phone grip, and choose products with those features and nothing else, as you will be able to save a lot of money by not getting products with features you don’t need. To have the best experience possible, it is recommended that you get a pair of binoculars that are built with quality in mind. If you go for the cheaper models, then you will most likely get a pair that will break with just a few days of use and may even break with just one drop. If you get a low-quality product, the different features that may be advertised may also not turn out as great as well, such as the focus knob. Lower quality models have focus knobs that aren’t sensitive, but rather robust which makes it harder to get a clear view of the stars while stargazing. Alongside this, lower quality products may even have paint or rubber armoring that may fall off with just a few scratches, which is why we recommend that you go for a quality model that you know will last a longer period to both save you money and for you to have a better experience. The price of your binoculars depends mostly on the number of features and quality, as well as the size of the binoculars. The binoculars with a lot of features are mostly meant for consumers that are more interested into the recording and photography side of stargazing which is why they are a lot more expensive. However, the lower-end ones are targeted more towards normal consumers who may want to simply stargaze without the need of a lot of features. The more expensive your binoculars are, the more likely the quality of the binoculars will be higher, so if you want to get a product that will last a long time, then investing into a more expensive one will be better and will last you a longer period. The size of your binocular also matters a lot because it will make the difference between you seeing the crater on the moon and not having enough power to see it. However, you will have to pay a bit more to gain access to higher magnification. As we stated in the price section, higher magnification will require a bit more investment. However, the higher the magnification, the more detail you will be able to see while stargazing, so if you are interested in observing more detail, then we recommend that you go for a higher magnification. For stargazing, the recommended minimum is x10 with the maximum being around x30 for average stargazers. If you are an enthusiast, then going beyond x30 is also recommended, but it will cost you a lot more. In any optical device, be it astronomy binoculars or hunting binoculars, magnification plays a very important role in determining the overall quality of the product. It decides the extremities upto which the astronomical binoculars can function properly without causing any errors in its readings. One can find multiple products online, which have different magnification levels. So, depending upon your requirements, you need to carefully scrutinize them and make the purchase accordingly. Generally, the astronomical binoculars offer varying sizes and diameter of the objective lens. Here, it should be noted that the size of the objective lens directly affects the field of view and the price of the astronomical binoculars. Hence, proper attention needs to be given to objective lens diameter while purchasing astronomy binoculars. The Gosky Titan is a bit different than the average stargazing binoculars that you have encountered from our binocular reviews of the two binoculars above. This product is a bit more expensive and has features that aren’t present in them as well, such as the phone adapter and protective shield. This product is not only designed to be the perfect binoculars for stargazing, but also to be used for birding, shooting, and sightseeing. A feature that we loved about this product was the phone adapter, as it allows you to attach your phone to one of the lenses of the binoculars. This will allow you to focus on your target and then attach your phone, so that you can capture what you saw with your eyes on your phone. If you are a photographer and want to take pictures of planets and stars up close, then this product may be a good choice as you’ll be able to do just that with the phone adapter. As with the other products, this binocular also has multi-coated optics and BaK 4 prism to allow for clearer viewing, even in the dark. With the price increase, the quality also increases as well. This product is designed to last several years and with good handling, it even has potential to last a lifetime. This is because of the coating that is used around the binoculars, as it is coating that prevents scratches from appearing and because it also protects the binoculars from dents as well. This is made possible because of the aluminum frame and because of the rubber armor that encloses the binoculars. All good things have a decently high price to them and that is the case with this product. Although this product is a lot more expensive compared to the products reviewed above, there are a lot of advantages to choosing this one over the others. The magnification of this product reaches all the way up to x20, which is high enough to give you a clear view of the star or planet you are watching and even give you a good view to take a picture with the phone adapter. Overall, we highly recommend this product if you are planning to stargaze for a long time and want a pair of best binoculars for stargazing. A lighter, portable version of the Celestron Binoculars, you will be able to take these binoculars on your next trip and watch the beautiful galaxy and planets that rotates around you every day. 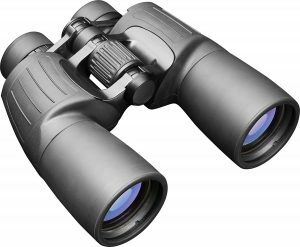 This product isn’t as bulky or as heavy as the product above, which makes it a good choice for those who may want to take these binoculars on other activities such as birding or hunting. This product is a bit more comfortable to use as well because of the eye relief feature that we will be discussing below. Overall, this product is for those who want to have a lighter, portable experience, while getting to view the stars and planets above with crisp quality and high magnification. Some features that this product presents include: the waterproof design, multi-coated optics and prisms, and the eye relief cups. The waterproof design of this product isn’t present in other products because there you wouldn’t usually bring your stargazing binoculars in a wet environment, but this feature is good to have just in case. The multi-coated optics has the same function as the product above and that is to direct all the light that the binoculars can gather to provide you the best view possible. The GaK-4 prism also aids in this process which makes your view even more clearer and crisp. Lastly, the eye relief cups are a feature that we absolutely love. This is because the cups allow you to put your eyes up against the optics and let your face sit comfortably on the binocular. Usually, your eyes will get tired after a while because of the hard surface of the binoculars, but due to the eye relief feature, even those with glasses will be able to have a comfortable time. The quality of this product is special, but rather average. If you take good care of it, then it will last a long time, but if you drop it or leave it in places where it can get scratched or abused easily, then it will break within a few weeks. The outer layer is made to resist small scratches and dents, but if you drop it from a high location or if the binoculars gets scratched with something with higher density, then you will be able to make out the physical damage. The price of this product is like the product above, and as we said before, it is recommended that you spend a bit more if you want a bit more magnification or quality than the one that you are getting from average priced products. If you are okay with average quality and magnification, then we recommend that you go for this product, as it contains all the features you will need as well as the magnification of around x10. The magnification of this product is a bit lower than the Celestron Binoculars, but the prism and optics makes the magnification seem around the same due to the way light refracts and changes the magnification depending on how much light is present. Overall, get this product instead of the cheap ones, so that you won’t have to spend a lot more replacing them and so that you can have a quality product from the beginning. Primarily focused towards those who are stargazing, this product is one that is a bit heavy, but strong and durable. As this product is heavy, it is meant to be used on a tripod and will give you a great view of the moon and other galaxies in space that is visible on earth. If you are planning to use these binoculars for other activities that may require binoculars, then we recommend that you consider some other model, as this product is a bit too heavy to be used by hand for a long period of time, but rather on top of a tripod. Some features that this product has includes: the multi-coated optics, tripod, and the large aperture. First, this product has multi-coated optics which is essential when it comes to stargazing. With binoculars, you need as much light as you can gather to be able to view your target with clarity, but when you are stargazing, this is usually done at night, in the dark. However, with the help of multi-coated optics, the binoculars will be able to use all the light possible around you and direct it inside the binoculars to give you a clear view of whatever you are watching. Another feature that we loved was the tripod because it is something that we help you very much. As the binocular is on the heavier side, you won’t be able to hold it in your hands for a long time, which is why the tripod comes in handy. Also, it will help you keep your binoculars stable which will help give you a more stable view. Lastly, the large aperture is also something that helps you see your objective a lot better in the dark, as the opening in the binoculars is a bit wider, allowing a bit more light to leak in to give you a clearer view. 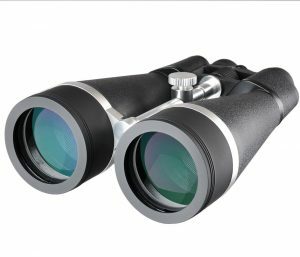 The quality of this product is best experienced when you feel and see the product in person as the coating around the binoculars both add a nice look and make it more scratch-proof. This makes the binoculars last a longer period, making it have better quality. Also, the binoculars come with an adjusting knob that is made from durable materials, which is incredibly helpful since it is one of the first parts of the binoculars to start breaking down. The product itself will last a long time, especially if you will be keeping it on the tripod that comes with the binoculars, so if this is something that you are looking for in a binocular, then this product is for you. The price of this product is on the lower side of the stargazing binoculars, which makes it an affordable buy. Although this may mean that it isn’t as good as the better models, it is still suitable for most people, especially if you aren’t into all the special features that the other products come with. This product acts as a general baseline, so if you want the average for everything, the Celestron is the way to go. As you can see from the section above, this binocular isn’t a high-end product. However, it still has a magnification of x15 which is still great for stargazing. If you aren’t going to be taking professional pictures of stars and planets with your binoculars, then x15 is good enough, but if you want higher magnification, then expect to spend a bit more to be able to get above x20 magnification which is around the range where you can clearly see the patterns on the planets and be able to distinguish stars. Now that we have gone through the key features to be kept in mind before purchasing a pair of astronomy binoculars for yourself, we believe you can zero-in on the best astronomical binoculars and enjoy the wonders of the galaxy through them. Stargazing is an amazing hobby because it allows you to see all the stars and planets that you may have never seen before. If the only stargazing you have done is with the naked eye, then you are missing out on a lot, as the difference between naked eye stargazing and binocular stargazing is different in a lot of aspects. We hope that you choose the best binoculars for stargazing, to help you out we have recommended some of the best options in the list above. This should help you choose the one that you like the most and go out stargazing today. We know that you will have a great time and that you will get addicted to learning about all the stars and planets just like we did! It should be noted that if any sort of deviation is observed in any of the factors discussed in this article, then there may be opposing effects on the overall performance and functioning of the astronomy binoculars. If you pursue the quality and the features offered, there are chances that the price of the product will be slightly higher than other similar products. But for those who love star gazing, focus was and will always remain on the quality of the product.